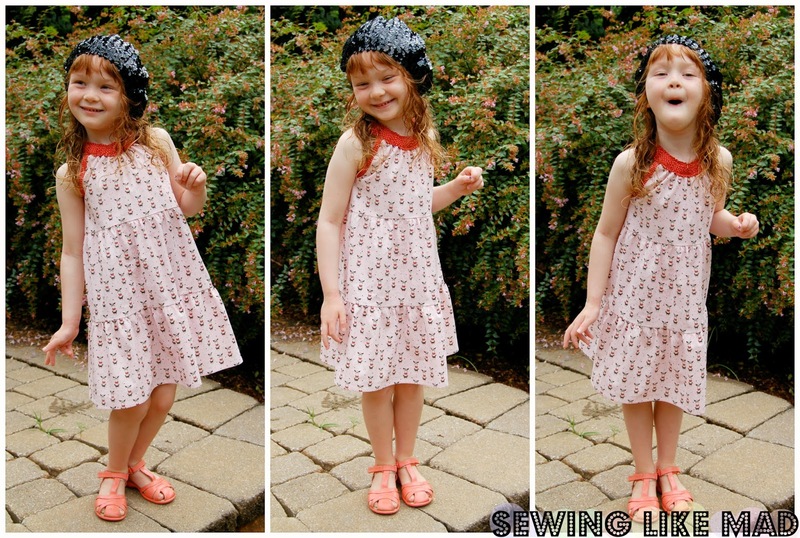 Sewing Like Mad: Darling Daisy Dress Pattern Giveaway. 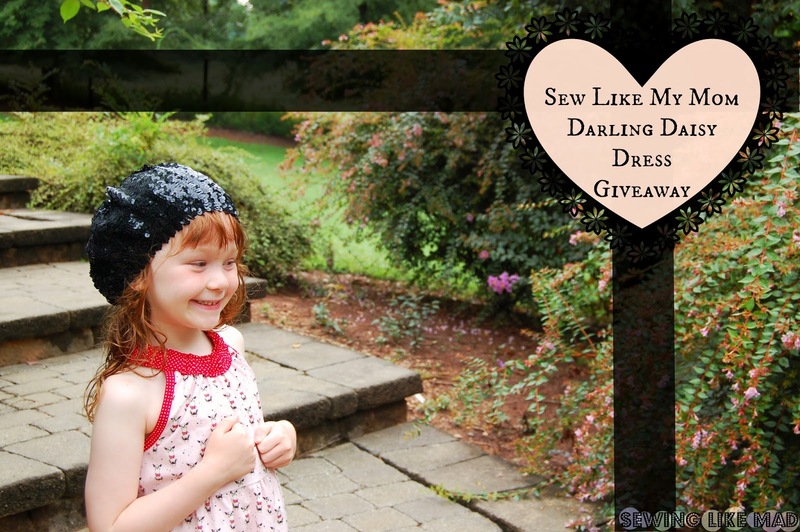 Darling Daisy Dress Pattern Giveaway. Today we have a cocktail of a happy girl, an obnoxious chihuahua print AND two chances to win Sew Like My Mom's first digital pattern Darling Daisy Dress. Hooray! This pattern comes with 17 size options from 3 months to 16 years - wow! I chose to make the knee length version with a bodice plus two tiers but the pattern also comes with pattern info for a third tier which makes it into a maxi dress. This dress is a super easy and fast project - something we all need from time to time, right! 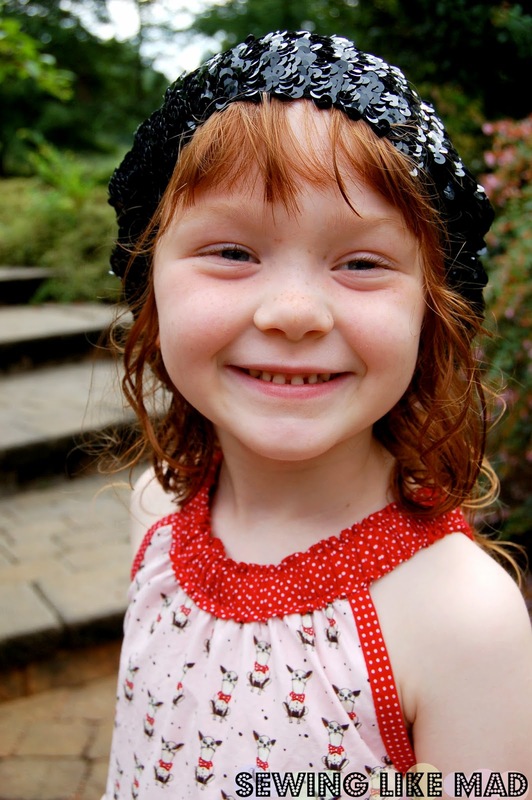 I am considering putting this sequin hat on her for every photo shoot because it was one happy girl I got in front of the camera. Giving me dance moves and 'model' poses. Making this cute dress in this hilarious print might have something to do with it too. I mean look at that chihuahua! It certainly makes me laugh. You can buy the fabric HERE. When I first saw the pattern I was sure I was going to make my (usual) color block on every tier in the dress BUT then I bought the chihuahua fabric (not having specific plans for it and when it came I noticed the dog's red with white dots butterfly and I realized that I had fabric that matched that exactly. SCORE! I love that elastic neckline by the way. 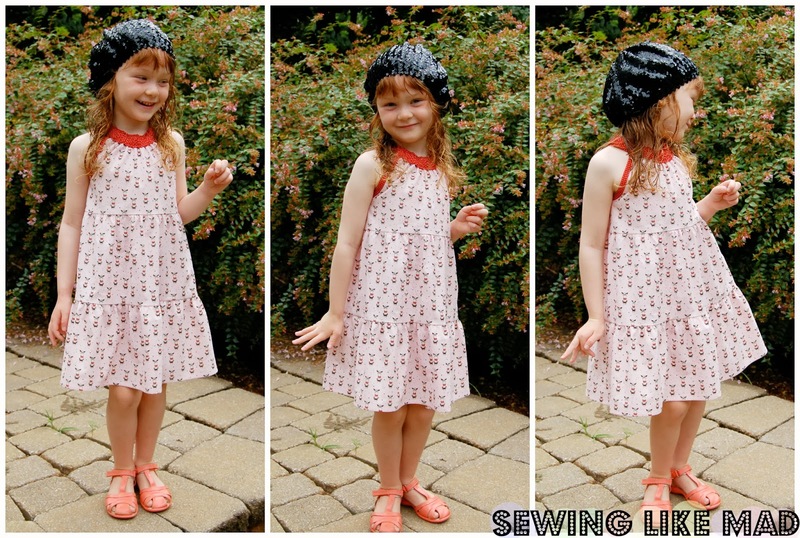 SO Melisa from Sew Like My Mom have not only been so kind to give me a free pattern (thank you SO very much) she has also agreed to give TWO of you lucky readers a chance to win it. How? Simply just leave a comment below including your email address so I can contact you if you are one of the two lucky winners. For an extra entry share this giveaway on your Facebook page and leave another comment saying you did so (also including email address). Max two entries pr. person. This contest is also open to international participants, yay. The giveaway will close sunday the 11th of Aug. 2013 at midnight EST and the winners will be announced here on the blog and on Sewing Like Mad's Facebook page monday the 12th of Aug. 2013. 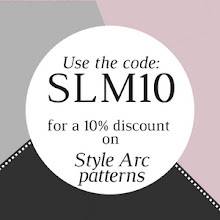 I will give your emails to Melissa and she will email you the pattern directly. Cute dress and love the fabric! I love this dress and your Blog! Thanks for the chance to win! How adorable! That fabric is fabulous, too. That is a super cute pattern!! 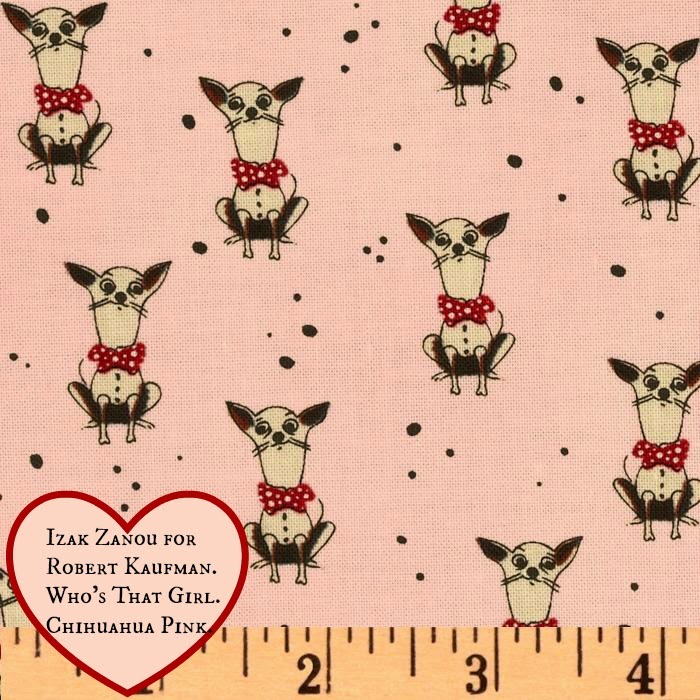 The chihuahua fabric is hysterical and the red and white dot is perfect with it. Great job!! Love the dress so cute! Would love to win it for my girls! Very Cute dress and model! Looks like a fun pattern. Thanks for the chance to win. Love the dress, and a happy model indeed! That is a cute dress! Lovin' the doggie print too! The main fabric goes so well with the red polka dot, Mie. The gathered neck makes for a sweet little dress. Thanks for the chance to win. This is a sweet pattern. Thanks for the chance to win one. Btw, you're little red head is just too cute! What a great pattern, thanks! This looks like a great summer dress but also a great layering piece for the winter. Over a turtleneck and some leggings or jeans. Love that dress. Love that fabric. Love that Wilma! What a great way to end the day, Mie... my friend Amy and I have won a pattern each!!! Thanks to both you and 'Sew Like My Mom'. I look forward to sewing up this pretty little dress. 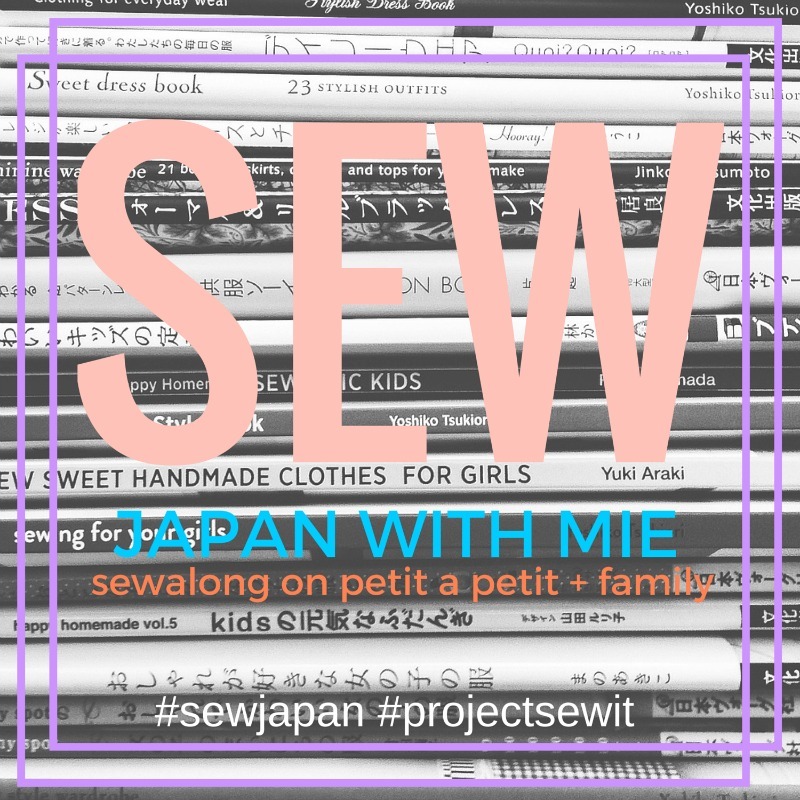 Sew Many Books - The Fashion Version. Side Pocket Pattern Drafting and Sewing Tutorial.